Mistakenly deleted pictures or videos from SD cards. The cards occasionally crash or stop working due to virus attack or user error. Accidentally formatted the SD cards without any backup of data. Note: Once you find data lost, do not record or write anything new onto the card in case that it may overwrite the actual space of lost files. 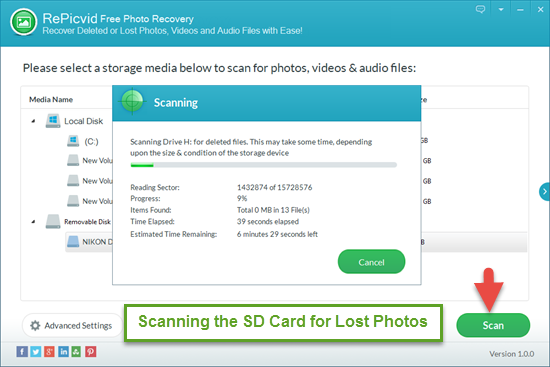 Remove the SD card from your camera/phones and insert it into your laptop’s card reader. If your computer doesn’t have a card reader, use the USB cable that came with your camera/phones to connect it to your laptop. 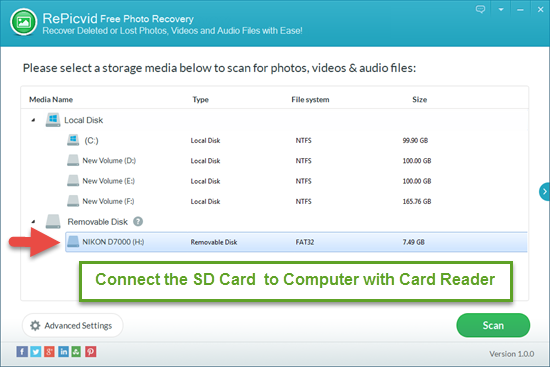 Select the SD card where your lost pictures/videos located to scan. Here you can click “Advanced Setting” to refine RAW image format, such as crw, cr2(Canon), nef, nrw (Nikon), raw, rw2 (Panasonic), etc. After the scanning, you can preview recovered files one by one. 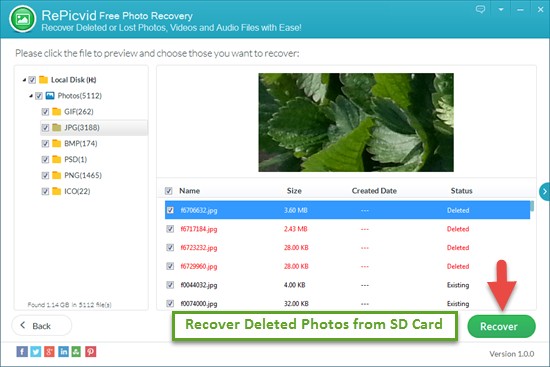 Choose those you want and click the “Recover” button to save them onto another folder. SD Card, miniSD, microSD, SDHC, Micro SDHC, SDXC, Micro SDXC, SDIO, CF (CompactFlash) Card, etc.